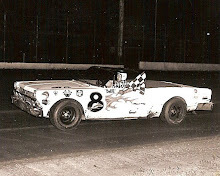 St. Paul, Minn. (August 24, 1963) - Jerry “Scratch” Daniels gambled with the wall Saturday at the Minnesota State Fair and won the 20-lap IMCA sprint car feature. The rim-riding Daniels powered by Bill Horstmeyer on lap 16 and was never headed. 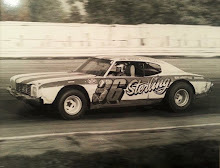 Daniels drove a Chevy-powered sprint car owned by St. Paul plumbing executive Jack Wagner. 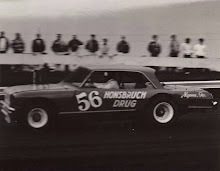 Finishing third behind Daniels and Horstmeyer’s Johnson Offy was Sonny Helms in the Colvin Offy. 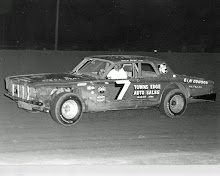 Carl Williams of Kansas City opened the action before a grandstand crowd of 12,205 by setting a new five-lap track record of 2 minutes flat for the banked half-mile dirt. 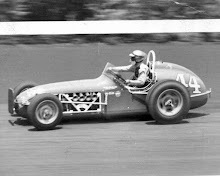 He drove the Diz Wilson #70 Offenhauser.